Nicky Romero‘s ventured into new territory by releasing his country-inspired release “Rise” with Stadiumx featuring Matluck back in August. Now the track has received two huge remixes from dance music legends Afrojack and Thomas Gold. 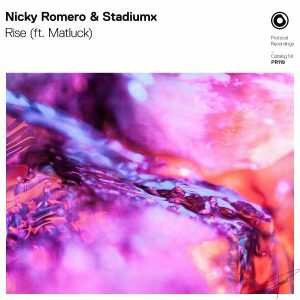 Each version has a unique take on the song’s upbeat rhythms and organic instrumentals: Afrojack turns up the heat with his signature driving house basslines and dynamic percussion that turns “Rise” into a hard-hitting club track, while Thomas Gold’s melodic approach creates a dancefloor-friendly, uplifting experience reminiscent of festival progressive anthems!